So it is revealed in every culture, every spiritual tradition. What makes a day good? Appreciation, insight, courage, willingness, joy and release — essentially meeting the day with presence. We humans are set up to take life, death, and everything for that matter, day by day. There's something about a day — just long enough to gain wisdom, and, thankfully, just short enough to not overwhelm us with immensity. A day is the perfect unit of and for spirit. And so this book is a daily journey for your soul. 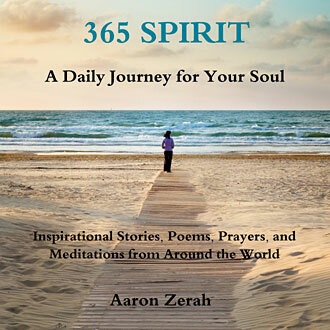 As you move through 365 Spirit, you'll see that each of the 365 days of the year has a unique spiritual theme listed in the Calendar of Themes at the end of the book. There's also an extra “day” called “Leap of Faith” placed (for Leap Years) on February 29. Please feel free to begin at any time and to turn to the book whenever and wherever your spirit calls. 365 Spirit is meant for you to enjoy! Crissy Claiborne rated it 5 of 5 stars. Recommends it for: anyone who needs a daily reminder of the beauty of life! 365 passionate quotes, stories and anecdotes from a variety of religious and non religious sources. This book gives you one simple thing to appreciate each day and it is the perfect way to begin your day!